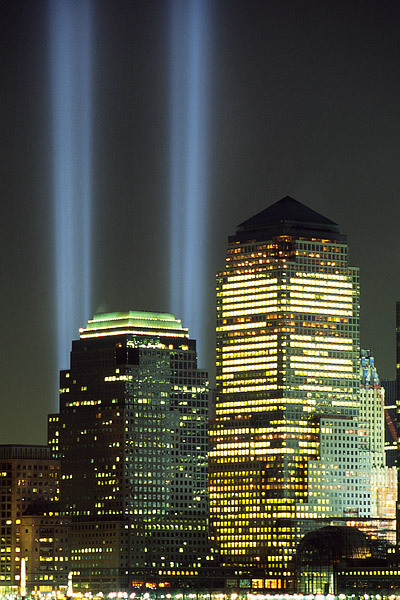 A tribute in light shines above lower Manhattan where the World Trade Centers once stood high above New York City. This view is from across the Hudson River at Liberty State Park. Photo © copyright by Thomas Mangan.